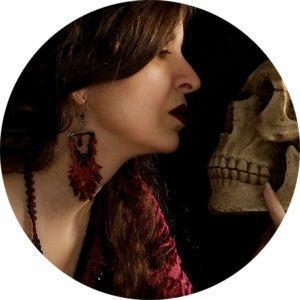 The Carmilla Necklace is simple, yet stylish, and lends itself ideally to be worn at Choker or Matinee length. 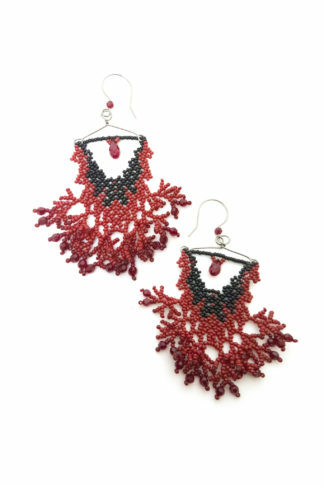 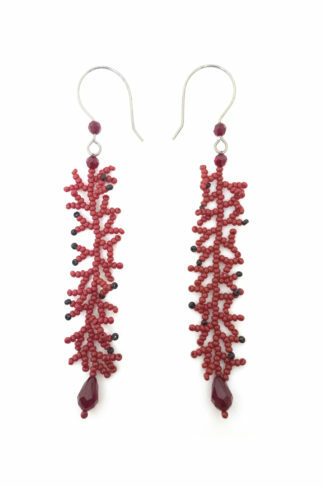 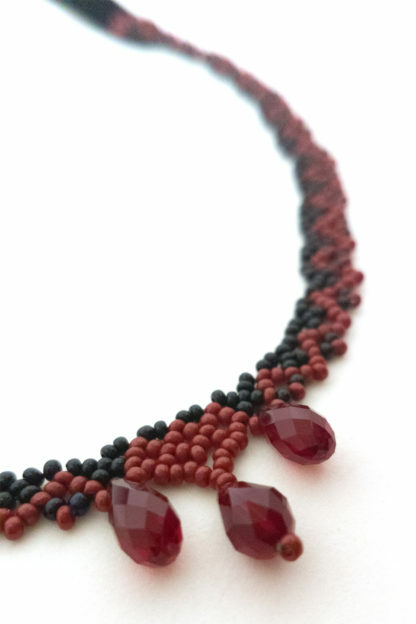 With blood red and black Czech seed beads and red Swarovski crystals woven in a lace pattern, it reflects Victorian jewelry styles. 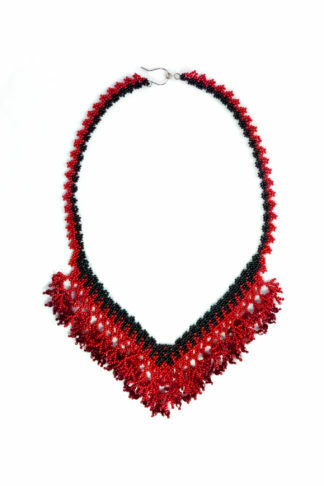 The Carmilla Necklace is simple, yet stylish, and lends itself ideally to be worn at Choker or Matinee length. With blood red and black Czech seed beads and red Swarovski crystals woven in a lace pattern, it reflects Victorian jewelry styles. The ties are made from black 3/8 inch velvet ribbon. 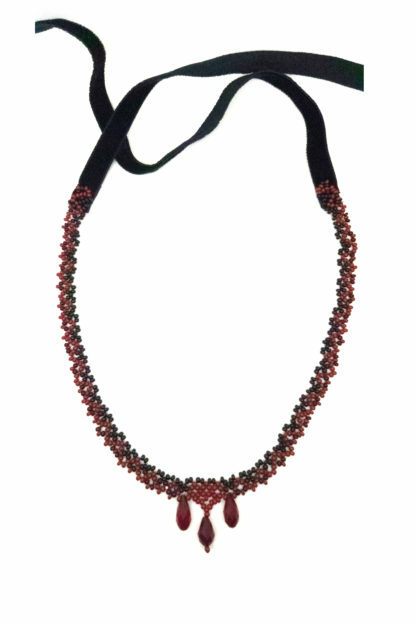 It can be adjusted seamlessly in length from about 14″ (collar) to about 20″ (falls just past the collarbone). 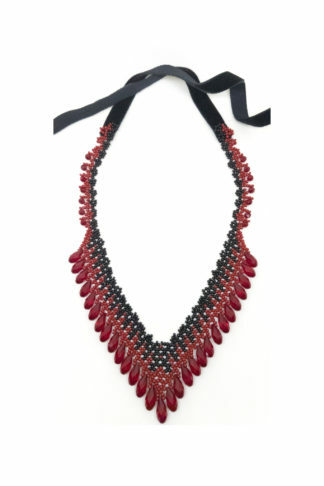 See Necklace Sizes.